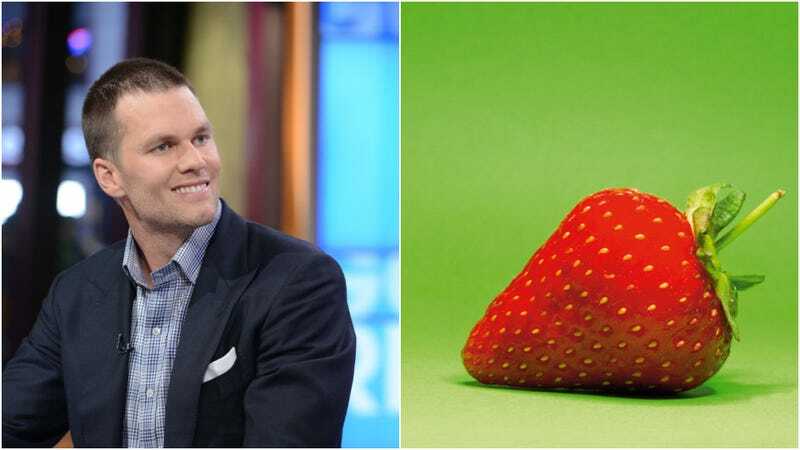 Patroits quarterback and reigning Super Bowl loser Tom Brady recently made an appearance on the NPR quiz show Wait Wait ... Don’t Tell Me in which host Peter Sagal asked him about his well-known aversion to strawberries. Finally, Brady was given the chance to explain the deep-seated trauma that results in his avoidance of one of nature’s tastiest fruits. To recap: Tom Brady doesn’t eat strawberries because he smelled them as a kid and now they’re gross. Got it.